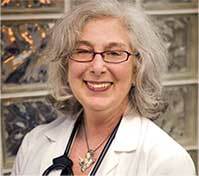 Barbara Negelow is a registered nurse with a certification in perinatal nursing. She is also a certified childbirth educator and a mom and a grandma. She has worked with many of the OB/GYN groups at Piedmont and Northside Hospitals. She has 25 years experience offering private, intimate and personal classes regarding childbirth expectations, labor and delivery. She offers private classes and consultations through her company, Readybirth. Barbara is also an AJC Nurse of Excellence for 2009. Barbara has years of experience with perinatal loss and postpartum issues as well. She is also a Therapeutic Touch Practitioner with the American Holistic Nurses Association; a Mindfulness-based Meditation Facilitator with Jon Kabat-Zinn; a nurse volunteer with Hospice Atlanta, and a volunteer Jewish Family and Career Services facilitator for weekly grief and loss support group.